A close vote in the U.S. Senate on Tuesday kept alive the safety net hopes of more than a million Americans whose federal unemployment benefits expired last month, but more heavy lifting is ahead to determine whether they will get checks again. WASHINGTON — A close vote in the Senate on Tuesday kept alive the safety net hopes of more than a million Americans whose federal unemployment benefits expired last month. But more heavy lifting is ahead to determine whether they will get checks again. A 60-37 procedural vote opened debate on a bill that would extend benefits for three months for the long-term unemployed. It would be made retroactive to when payments were halted on Dec. 28. Sixty-votes were needed to move the White House-backed bill forward and it just squeaked through. Democrats and Republicans then promptly jockeyed over further talks on the measure, and final passage remained far from a done deal. The measure would allow people in states like Nevada with high unemployment to collect federal payments for up to 47 weeks after they exhaust 26 weeks of initial state-funded checks, at least until April. Those benefits expired over the holidays for an estimated 1.3 million Americans including 16,800 Nevadans, according to numbers updated by the Department of Labor. Thousands more would lose benefits each week when they reach the limit on state payments. Advocates advertised the bill as a short-term fix that would give Congress time to debate the program that has been in place since 2008, when the nation was sinking into recession. But Republican leaders insisted negotiations begin now over the cost of continuing the safety net and if or how it should be paid for. Senate Republican leader Mitch McConnell of Kentucky proposed the $6.5 billion jobless program be offset with savings by delaying the Obamacare individual mandate for a year. That suggestion immediately was rejected by Senate Majority Leader Harry Reid, D-Nev.
“There is no excuse to pass an extension without ways to create good stable jobs and to find money to pay for it,” McConnell said. Several Republicans who provided key votes to advance the bill also called for further talks on how it could avoid increasing the deficit, as well as adding provisions that would help create jobs. The implication was they might reverse course when the Senate tries to end debate and move to a final vote, another procedural marker that will require 60 votes. “If Majority Leader Reid once again obstructs senators from offering amendments, I will oppose final passage,” said Sen. Dan Coats, R-Ind. “Any further extension of this program should be paid for, and I am working on offering amendments that would offset the cost and help put Americans back to work. The Senate is only half the battle. Shortly after Tuesday’s vote, House Speaker John Boehner, R-Ohio, reasserted that any extension of jobless benefits must be paid for and be accompanied by job-creating measures, and he would be willing to discuss an extension under those conditions. Until then, “the House is going to remain focused on growing the economy and giving America’s unemployed the independence that only comes from finding a good job,” Boehner said. 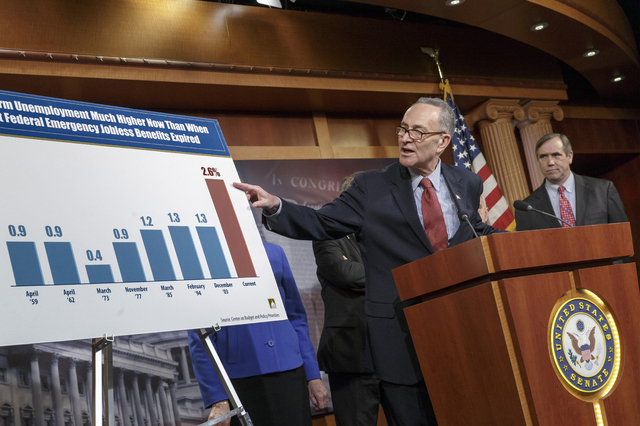 Democrats argue that jobless benefits should count as “emergency spending” not needing to be offset. They said the payments serve to stimulate the economy, as people tend to spend that money on essentials. Reid and White House officials suggested they would be receptive to cuts elsewhere in the federal budget to offset the cost of a yearlong renewal of the program, if Republicans would first agree to turn the benefits back on for three months without preconditions. “If (Republicans) come with something that’s serious, I’ll talk to them,” Reid said, adding he doubted the parties could agree on an offset. “Let’s pass this bill so that our fellow Americans, more than a million of them, don’t have to suffer and we can then talk about the long-term plan,” Reid said. 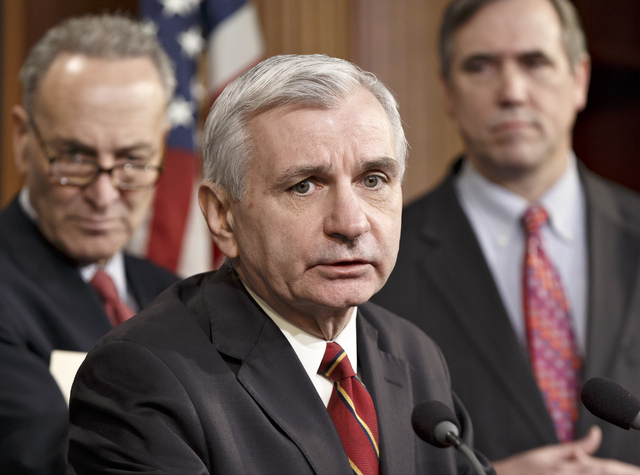 Talking with reporters afterward, Sen. Jack Reed credited Heller, who was the first and for a while the only Republican to come out publicly in favor of extending the benefits without a cost offset. That allowed the bill to be advertised as a bipartisan measure. Nevada and Rhode island each have the nation’s highest jobless rate, at 9 percent. 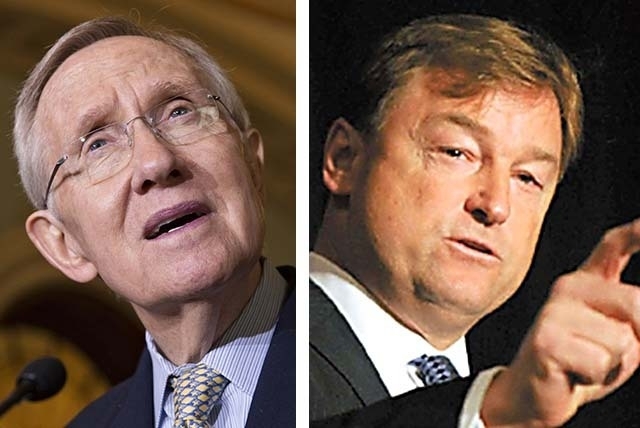 That five other Republicans joined Heller was somewhat unexpected, Reed said. The others were Coats, Rob Portman of Ohio, Kelly Ayotte of New Hampshire, Susan Collins of Maine and Lisa Murkowski of Alaska. All Democrats present voted to advance the bill. The vote “was in the balance until the very last moment,” Reed said. “We were all a bit surprised,” said Sen. Sherrod Brown, D-Ohio, as most of the rhetoric coming from Republicans in recent days suggested the bill would fall short. The Associated Press contributed to this report. Contact Stephens Washington Bureau Chief Steve Tetreault at stetreault@stephensmedia.com or 202-783-1760. Follow him on Twitter @STetreaultDC.